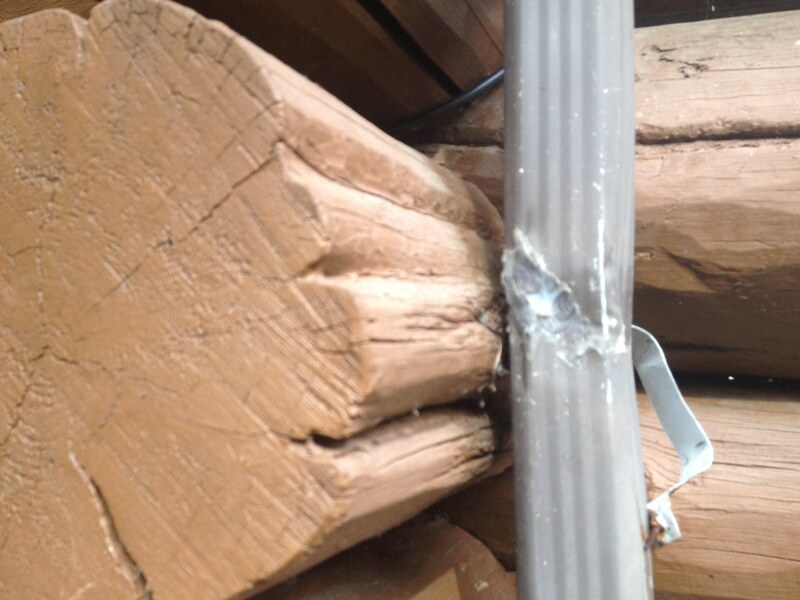 Several tail logs were damaged in this Monroe, Washington home due to a long term exposure to a leaky downspout. 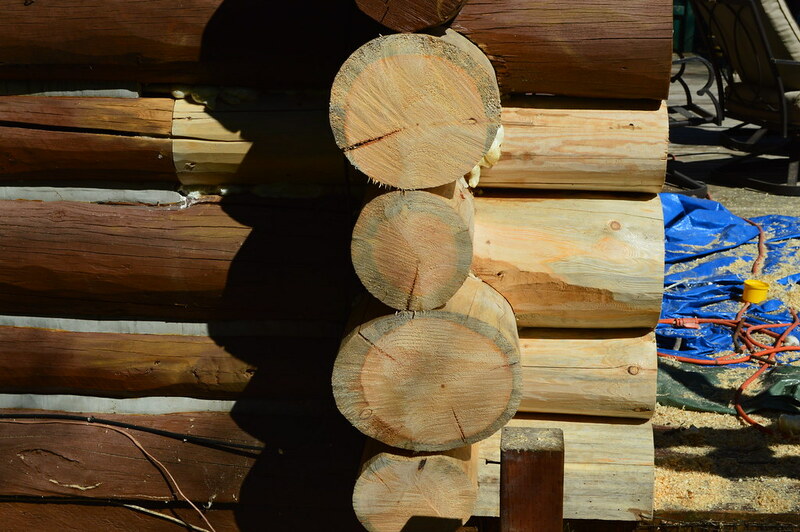 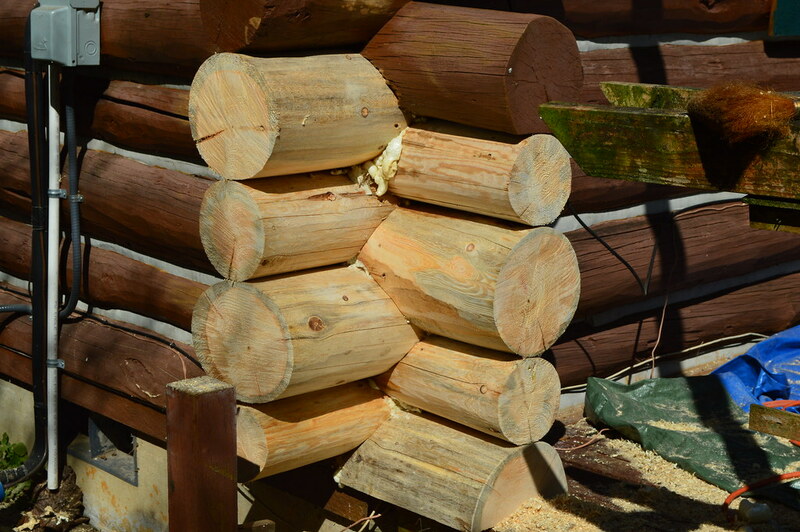 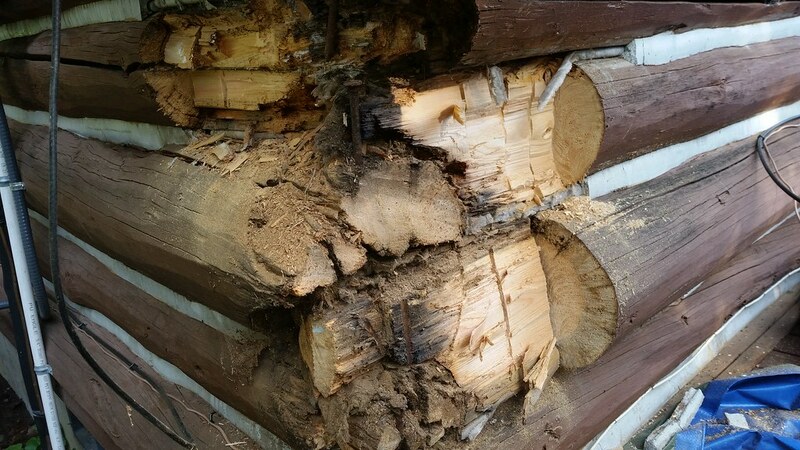 The rot damage was removed, the remaining cavities treated with a borate solution to inhibit further rot damage and insect presence, and new logs secured, foam-sealed tight. 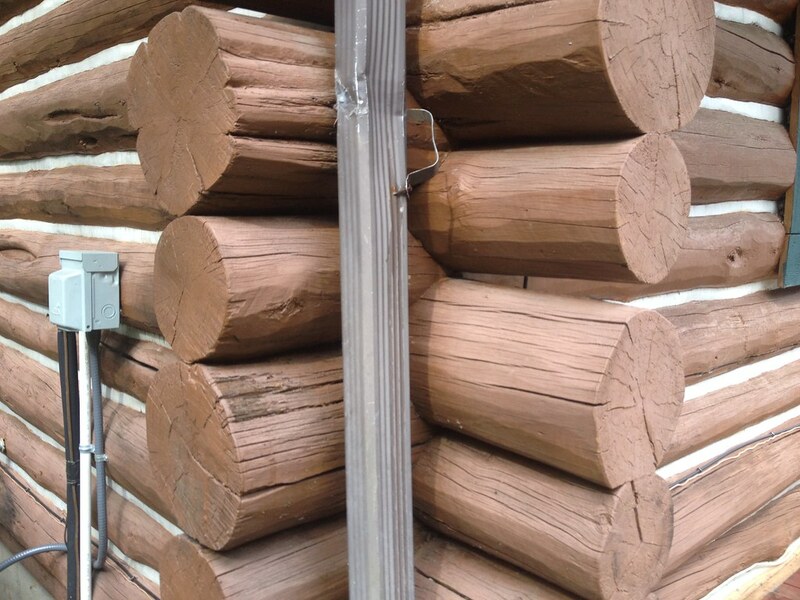 The owner stained the logs and installed a new downspout.